I don't know if you know this, but Lori Anderson hosts the party of the year for jewelry designers/bloggers - the Bead Soup Blog Party. Seriously. I'd been following her parties before I started this blog and was always so envious because it looked like everyone was having so much fun. Once I'd started this blog, the first thing I did was to sign up for her next part and I haven't missed one since. Then I found this clasp and thought I'd died and gone to heaven. You can find more of her work in her Etsy shop, too. So what kind of bead "soup" does one send to someone as multi-talented as Marianna. Good question. We chatted for a bit and when she mentioned she loves owls, I knew I had the perfect thing. The ceramic owl is from SuzieQBeads and I thought it would make a great focal for Marianna. I added a couple of choices for the clasp - an over-sized brass lobster clasp and a flame painted copper toggle from OregonMadeJewelry. Then I filled out the soup with an eclectic assortment of beads with everything from Swarovski crystals and pearls to Czech glass and gemstones. And, of course, everything is in shades of teal and turquoise with bits of tan and caramel because those are my very favorite colors. This is a soup I would send my very best friend. Heck, it's a soup I'd love to keep myself! And remember that first micro macrame owl I made and said it was a gift? I made it for Marianna. My soup from her should be arriving any day now, and the mail carrier will probably get sick of seeing me at the mailbox until then. I can't wait to see what she sent and I can't wait to see what she makes from the soup I sent to her. 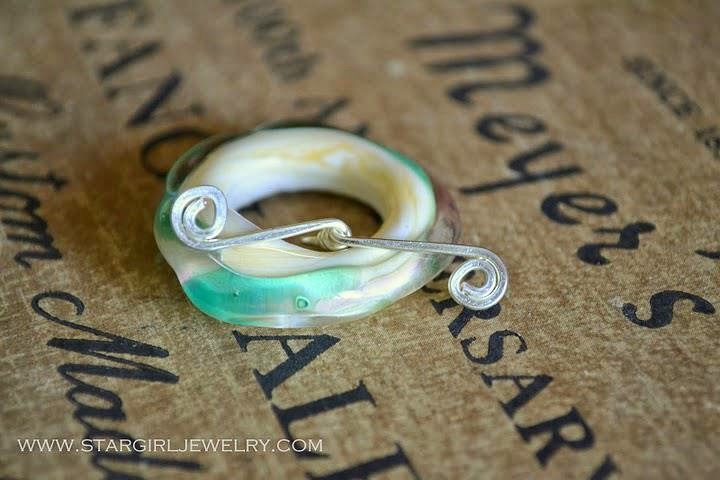 The big reveal for the Bead Soup Blog Party is May 3rd, 2014, so mark your calendars. If you want to know more about the party, Lori has all the details. If you just can't stand it and you need something to tide you over until the reveal, you can review last year's party. 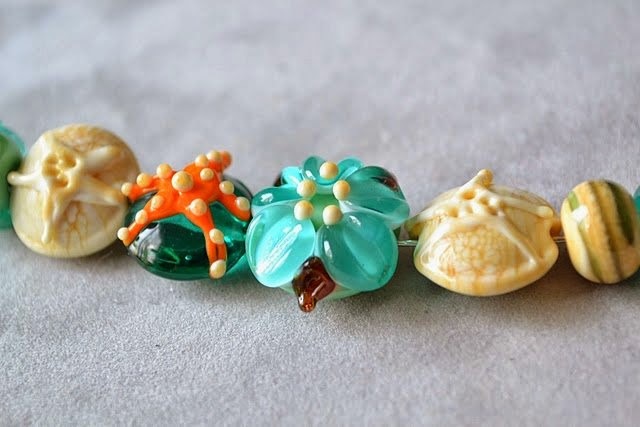 I was paired with the uber talented Julie Cannon of Studio Juls and you can see what I did with her gorgeous lampwork beads and the rest of what she sent me here. What an awesome soup, Sherri...I love the colors! Speechless, except for WOW, YUMMY, etc. Your partner will be so excited. Her work is beautiful and yours is too. I can hardly wait to see what both of you create. Waiting for the mail!